Find out more about our Top 10 tips for climbing Island peak. If there is one climb that is terribly under estimated by so many people, it is Island peak. If you want to climb Island peak and stand high in the Himalaya’s at 6,189m/ 20,305ft, you need to give this mountain the respect it deserves and come with excellent physical preparation and mountaineering skills to match. We are a world leader in offering quality Island peak climbs. Ian Taylor Trekking use a high camp and have two additional nights in Island peak base camp and most importantly we FIX OUR OWN ROPES giving you the best possible safety and chance of making it to the summit of Island peak. CHECK OUT our Island peak itinerary we are available 5 days a week to help you get the right information. 1). Make sure you have the right training. 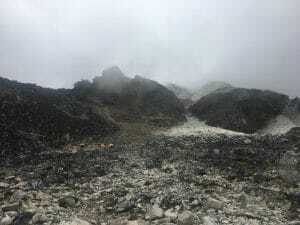 Island peak is a steep hike and climb from 5,100m/ 16,732ft up to 6,189m/ 20,305ft with mixed scrambling, steep rocky scree, a glacier crossing with ladders and steep head wall all the way the summit. It is a very strenuous ascent, and that is after you have just walked for 12 days to the base of the mountain, which is also strenuous. We can help you formulate a training program, but multi-day hiking building from 3 – 6 hours along with training 4 to 5 times a week with weights and building your endurance is key to success. You also need to be competent in abseiling. You need to be able to abseil using a figure of 8 device, moving between fixed lines. This is really important. The video above will give you an idea of how difficult the terrain and gradient is on Island Peak and show you that you will need a proper training plan and acclimatization schedule to match. 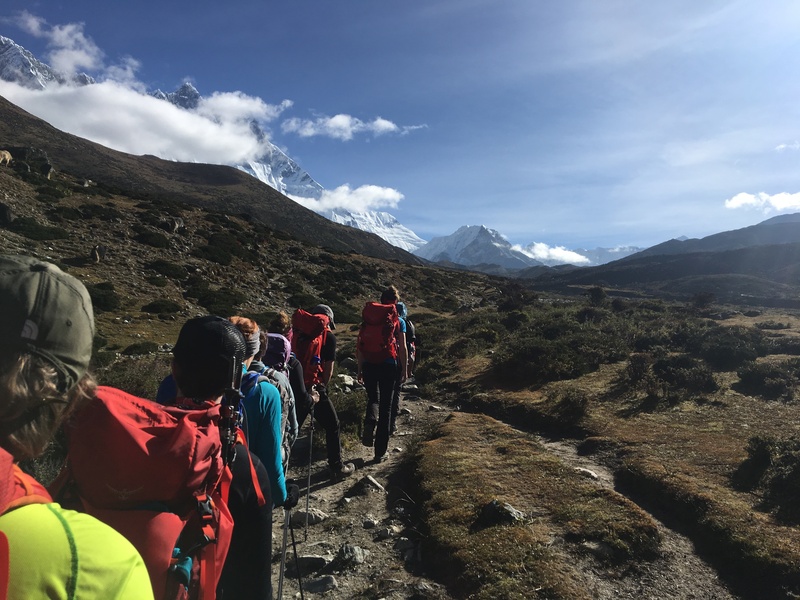 CLICK HERE for our top 10 tips in preparation for the trekking section to Everest base camp. CLICK HERE for recent video footage filmed in May 2016. READ SOME REVIEWS. 2). Buy your mountaineering boots early. If you have ever worn mountaineering boots before, you will understand what I mean here! Mountaineering boots are extremely rigid and heavier than your normal hiking boots, making them a lot more difficult to walk in. It is essential that you have worn-in your boots before you go, and also that you pick the correct boots. Your feet are so very important to your success on Island Peak, and you need to look after your feet at all times in the Himalaya’s. Island peak base camp is 80 miles from a road, you are in a wilderness area and you need to be fully prepared with the right boots. This is not the place for you to test out your mountaineering boots, and we strongly advice against renting mountaineering boots. Having the wrong boots or renting boots could ruin your feet and your trip. 3). Do one of our winter mountaineering courses. 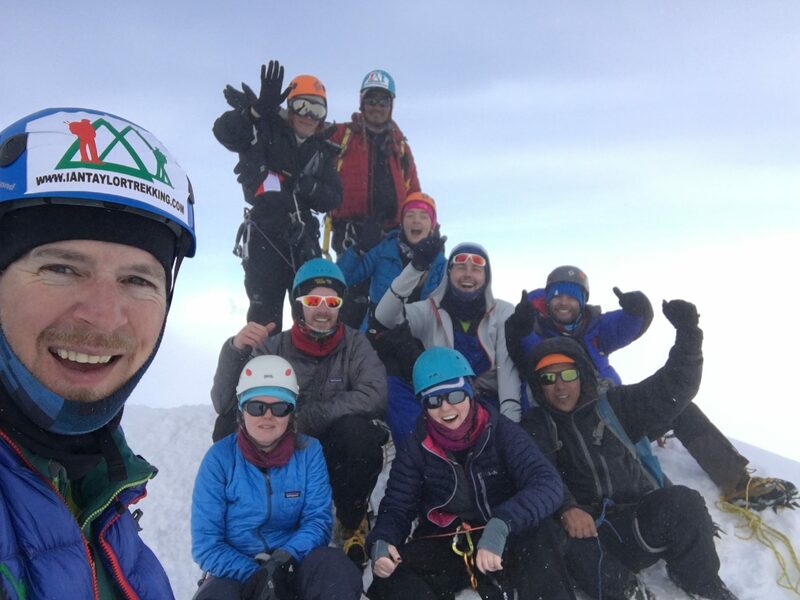 Taking a winter skills course can be done anywhere around the world and is a very important part of your training before leaving for Island Peak. This can be done in the United States (on Mt. Rainer, or numerous other destinations), New Zealand, Ireland (sometimes) and Scotland. Being able to abseil using a figure of 8, use crampons, use a jumar (ascender) and being comfortable in a harness and using ropes can make all the difference in feeling confident in your Island peak ascent. 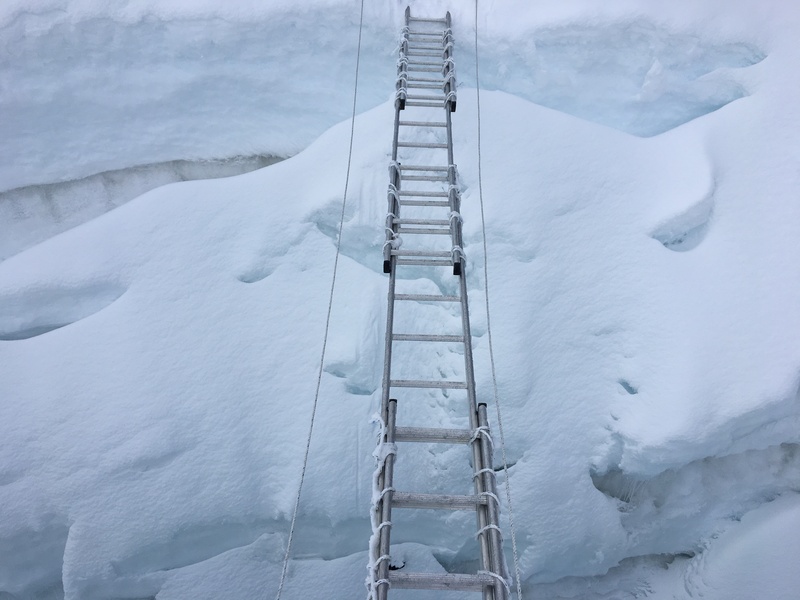 We also recommend crossing ladders with crampons on in your training. We can arrange this for you. Check out our winter courses in Scotland. We can help you fully prepare for your climb on Island peak. VERY IMPORTANT: You need to come proficient in crossing ladders, using a harness, figure of 8, using a Jumar device and abseiling. 4). Make sure you have the right clothing and gear. With temperature ranging from + 20c to – 15c (68F to 5F), you need to come prepared. Once you arrive in Island Peak Base Camp, there are no lodges, therefore you will be sleeping in tents out in the elements. Having the right gear can be the difference in a successful and unsuccessful trip. One of the essential pieces of gear will be a high quality down coat. You will need to wear this down coat in the mornings and evenings as well as during your summit attempt. The temps can drop quite low and you will need the down coat to keep you warm. Wearing high quality base layers is another way to ensure you are kept warm when it is cold and cool when it is warm. We like to recommend Merino Wool as a great option for base layers, however they can be quite expensive, so if you are not looking to spend that much on your layers, you could also look at synthetic pieces. You want to stay away from anything cotton against your skin as it will be very difficult to dry and it will also not help with regulating your body temperatures. Along with your mountaineering boots, you want to make sure that you have all the right gear on your journey high into the Himalayas. CLICK HERE and watch our packing video, we are available to answer any questions you may have about your gear and help you to make sure you have the gear you need. 5). Be safe on the trail. The trail to Island peak comes with some hazards, and you need to be aware of them prior to making this journey. Our guides will lead you safely through the trail but always be aware of landslide regions, drop offs, people, yaks, and mules. Always stay on the mountain side of the trail when passing or being passed, and constantly be aware of your surroundings. CLICK HERE for our top tips while you are on the Everest trail towards Island peak. Always wear a helmet above high camp as there is potential rock fall. You need to take personal responsibility for your own safety and be mindful of your surroundings. 6). Make sure you have a qualified climbing guide. Unfortunately, there are a lot of local guiding companies out there that offer Island Peak climbs who are not qualified to do so. 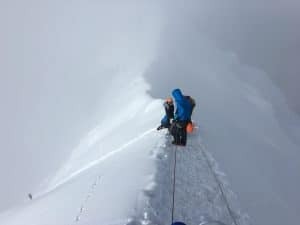 Many companies out there will promise you the world, however they have limited climbing experience and will not have the ability to fix ropes or manage clients at high altitude. You need to make sure you have done your research on the company you will be using. 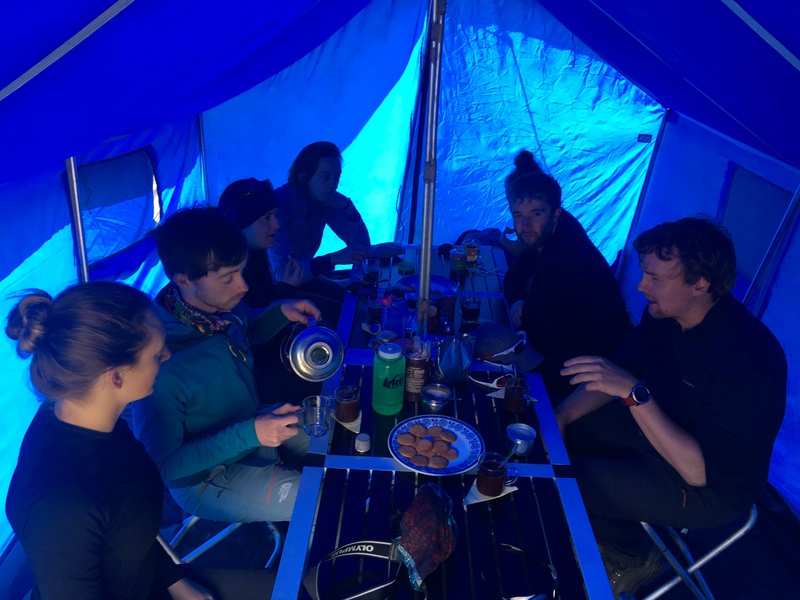 You should have a western guide and professional climbing Sherpa who can fix ropes, manage training in base camp and bring you safely up and down Island peak. We bring our own ropes up the mountain and fix them each trip for your safety, we do not use the ropes that are already fixed to the mountain, used by many clients and not checked enough to be safe in my opinion. 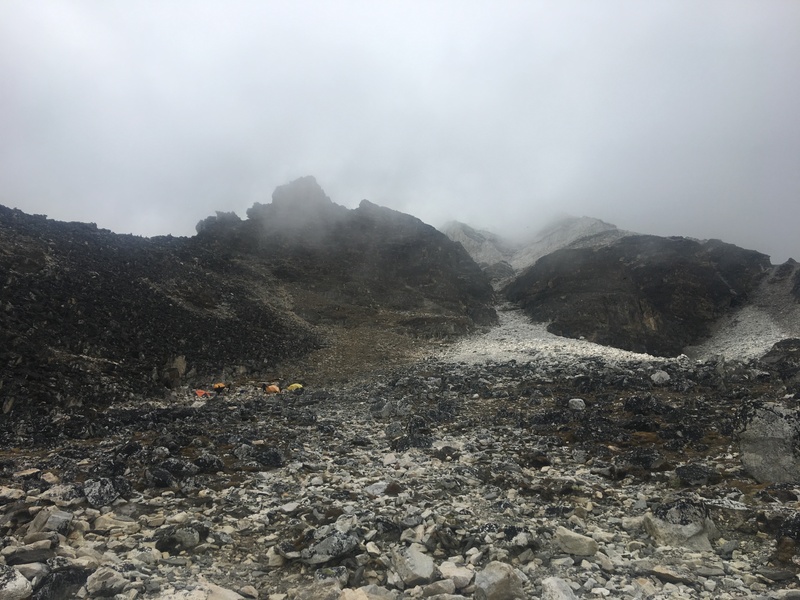 We also use a high camp at 5,500m/18,045ft which gives you the best possible chance at a safe and successful climb to the summit of Island Peak. 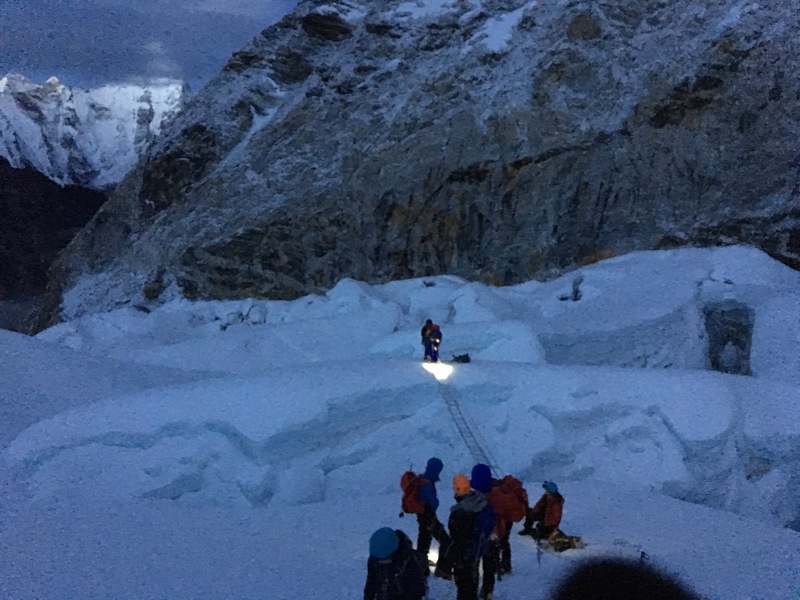 READ MORE about safety and what you need to climb Island peak. 7). Have the right acclimatization schedule. When you are going above the danger zone and lower realm of the death zone at 5,500m/ 18,044ft to 6,189m/ 20,305ft, you need the right acclimatization schedule. We have 3 nights acclimatizing in Namche Bazaar at 3,440m/ 11,300ft, 2 nights in Dingbouche at 4,410m/ 14,468ft, an additional 2 nights at Island peak base camp at 5,080m/ 16,666ft, and one additional night at Island Peak high camp 5,500m/ 18,044ft. Altitude sickness is real, and going to altitude needs to be respected and not forced. Take your time and acclimatize well. This will help you to achieve your goal of climbing Island Peak and you will enjoy a safer and more enjoyable experience. CONTACT IAN for more information. 8). Have previous altitude experience. There is a massive investment that you will have to make in terms of money, time, and preparation when you decide to climb Island Peak. Everyone acclimatizes differently so knowing how you adapt at altitude helps you in your understanding and preparation for this climb. Having made numerous treks and possible climbs at altitude with help you in your preparation for Island peak. How do you know what it is going to be like at 5,000m/ 16,404 feet and above with 50% less oxygen if you have never been at this elevation before. Be responsible and take the right path to 6,000m/ 20,000 feet peaks. 9). Know your knots. When you are climbing Island Peak you will need to know how to tie different climbing knots. 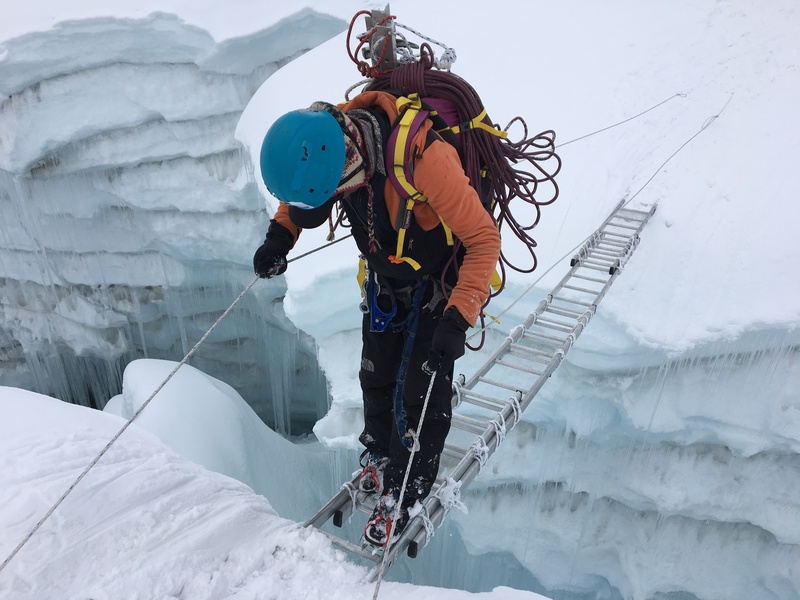 The figure of eight, overhand and Italian Hitch knots will be used in the training and preparation for Island peak, and you need to practice these knots prior to joining an Island peak climb. 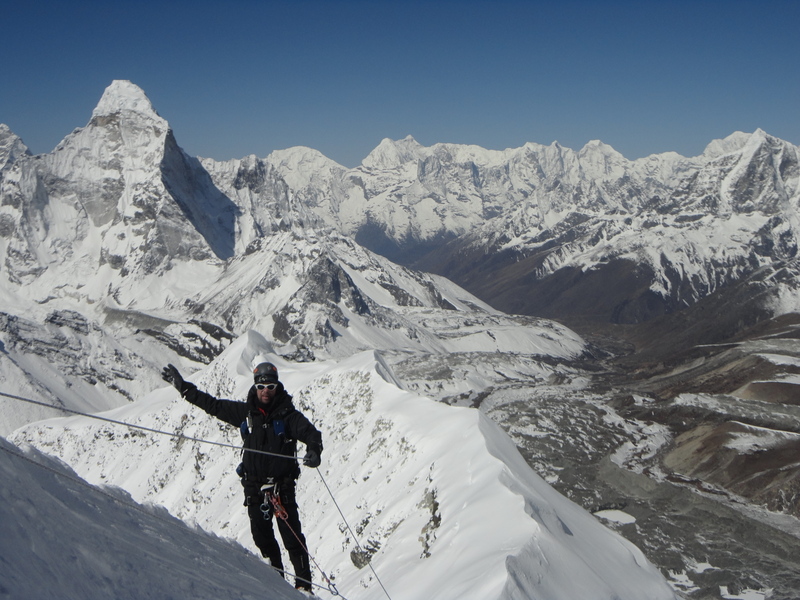 We will have rope with us on the trek in and we will help you become more proficient en route to Island peak. 10). Be proficient in abseiling. As you will see in the video above, you have to abseil down the head wall of Island Peak. You will be in control of the rope as you abseil down so being comfortable with abseiling prior to the start of the trip will be essential. We recommend doing an outdoor course that includes learning how to move from one rope to another on steep terrain, using a figure of 8 device. You should also be comfortable with exposure so finding a local climbing wall and practice using a harness and abseiling from height as it will help build confidence and experience for when you need it high on Island Peak. I hope you enjoyed reading our Top 10 tips for climbing Island peak. The next step should be to CONTACT IAN and get the best information available. Ian has been climbing Island peak twice a year for the past 6 years and has been journeying to Island peak since 2008. 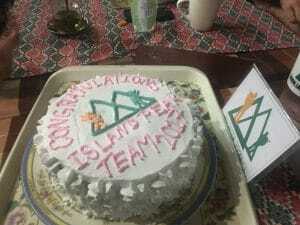 He has a wealth of experience on this mountain and trekking and climbing in the Everest region.